Summer is full of sweet treats. With the heat kicking in, fruit can be a refreshing treat especially when the main ingredient to a refreshing drink. We’re featuring three delicious, easy-to-make recipes today for fruit drinks. 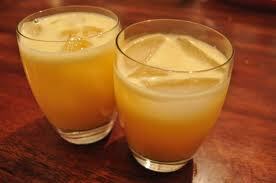 The first, Orange Dream, is from Douglas Monsalud, owner of Kitchenette in San Francisco. Make sure to use freshly squeezed juice! You can also play around with the type of honey to change-up the flavor. When it’s really hot, a snow cone hits the spot. Try this natural raspberry snow cone. 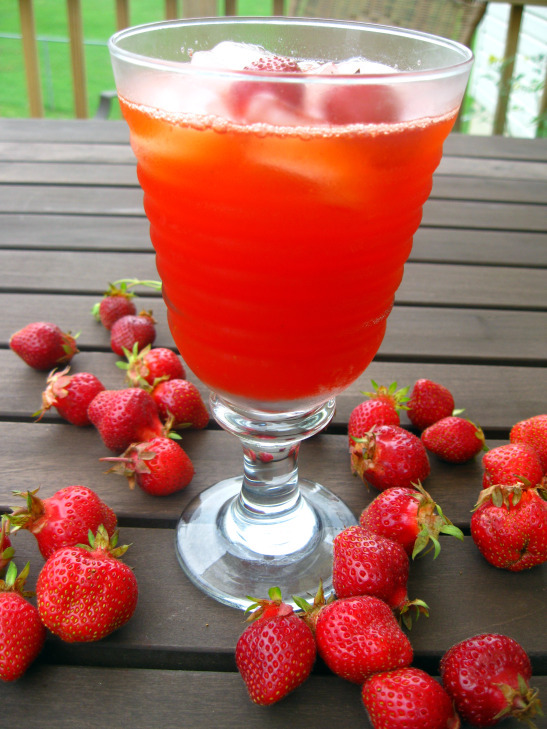 And last, a little strawberry lemonade, a perfect thirst quenching indulgence. 1. In a large bowl, toss apricots in sugar and salt and let sit and soften for 30 minutes. Puree in a blender and pass through a fine-mesh strainer. In a small bowl, mix lime juice and honey and stir until honey is dissolved. 2. In a large pitcher, add apricot puree, honey-lime juice and the remaining ingredients and stir to combine. Serve in 8 ice-filled glasses. 1. Combine 2 cups of raspberries, the sugar and 1 1/2 cups of water in a saucepan. Simmer until the syrup has thickened and raspberries have broken down, about 15 minutes. Strain through a fine-mesh sieve. Add 1 cup reserved raspberries to the syrup while still warm. Allow to cool completely. 2. In a food processor pulse the ice until fine, then spoon into a tall glass. Ladle enough syrup to cover, making sure to add some of the raspberries. Serve with a spoon and straw. 1. In a large pitcher, whisk to combine lemon juice, simple syrup and strawberry puree. Keep cool. When ready to serve, fill 6 tall glasses halfway with ice, fill 3/4 with juice base and top with sparkling water. Stir and enjoy.